Thinking of making our first game review..
Well, you know, some games need a bit more deeper reviews than what's currently available on the net. Case in Example: Euro Truck Simulator 2 and City Car Driving. 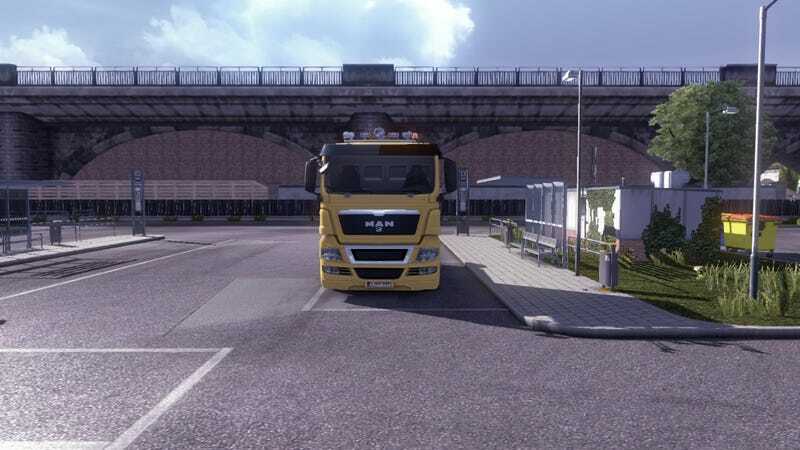 With the latest 1.12 update, Euro Truck Simulator 2 is become even much realistic than before. I think it's one of the first driving game ever that let you adjust your seats just like on the real truck. Combined with tons of other feature available like adjustable cruise control, realistic fuel consumption simulation, realistic air pressure simulation, realistic engine and cab and interior options , and many other things makes this game is one of the most realistic driving sim around. While City Car Driving have less features than the Euro Truck Simulator 2, it's still a very weird yet unique game. I mean, City Car Driving was originally designed to help people learn how to drive properly on the road, Russian Style. So Instead of giving you a 700hp fire-breathing V12 monsters, the most powerful car in this game was a freaking Toyota Corolla with it's masterful 1.6l inline-4 producing somewhere around 120hp. But actually it has one of the most realistic transmission on a video game. Seriously. And you know, as the saying goes, sometimes it's much more fun to drive a slow car to the limit than driving a fast car slowly. Plus it has ton of mods, and really easy to edit the mods. For example, if you want a BMW X6 but with V12 from BMW LMP Prototype, you just have to download the mod, and change the engine values on the mod data. that simple. So, which one is your pick? Or you have other suggestion? Fire away! *Bonus jalop points for who can guess the car that i drove in the last picture.